Awhile ago I published a list of the 10 Qualities Of The Ideal Instructional Designer. Since then, the eLearning community contributed so many qualities to the list it is now overflowing. The comments more or less fell into a few categories: working with SMEs, designing and developing content, love of learning, business savvy and personal attributes. So here are the next 35 qualities. Oh no! You have more qualities to contribute? Comment below. An instructional designer should really have the passion for learning. Without this element, he is surely nothing. He should have the willpower to learn not just the things around him but also the things beyond his reach or imagination. That will make him the best instructional designer for sure. Thanks for this comprehensive list. I have this discussion with colleagues frequently. Defining the role and skill set of an “Instructional Designer” is not clear cut and can depend on the context of employment. 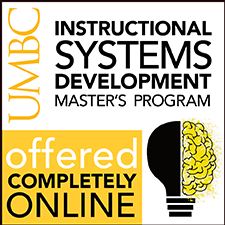 I recommend this post to graduate students looking forward to Instructional Design positions – it’s practical advice in terms of experience to seek out and to articulate in the job search. Apparently passion for learning is an important quality. Six people submitted comments regarding that quality, as noted above. That’s a really good point. Context can define the skills and qualities required to be an instructional designer. It’s a moving target. Thanks for your comment. Thanks for the thoughts. One that I think is very important is to understand what development tools/capacities are out there. If the ID knows what technology is available and keeps up with what others are doing it could open a whole new world of creativity. I agree, Andrew. It’s good for eLearning IDs to develop enough technical know-how that they understand the tools and their capabilities, even if they don’t know how to use them. Wonderfully written and extremely important read for any budding instructional designer. Concepts are outlined in such a simple manner, that it certainly nullifies the probability of confusion. 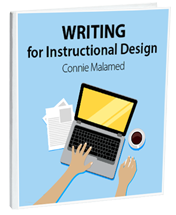 Also, is quite an interesting article to read for anybody new/unaware to/of the field of instructional design. Glad you think it will help. I would have liked to know this at the start of my career. Well, I’m at the start of my career as an instructional designer. I love reading all the articles present on this website. All of them are very educational. 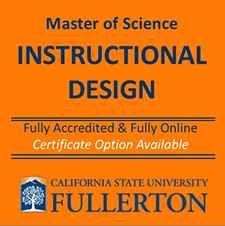 In fact, I’m basing my learning of instructional designing on this website. One thing that i liked the most, was the sample storyboards that are given in the ‘Storyboard Depot’ section. I got a request for an article which would illustrate the implementation of Bloom’s level of taxonomy at the grassroot level. So glad you found this useful, Rahul. 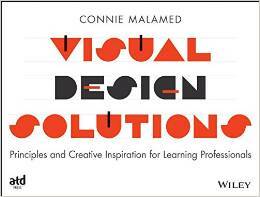 Best of luck in your career and please check back for more articles about instructional design. I strongly agree with the need to understand the tools and their capabilities. I was an ILT instructional designer for many years, but until I became an e-Learning designer (about 2.5 years ago), I had few, if any, opportunities to learn the technology. It’s been a challenge to learn, but it has made me a much better ID. Yes, learning the tools to some degree does allow you to know their capabilities, so you can design with them in mind. Also, if you’re working on a team, it helps you to better understand the artists and programmers. Thanks for your input. I’d have to add as an ISD is this need to share what I know. If I’ve learned it and think it is cool, I assume you will too! And as an ISDer, I want everyone else to be excited about learning as I am. I don’t want to be the teacher… happy behind the scenes.. but am rather Gidget in my ideology that “doesn’t everyone want to learn everthing!” I do. I know exactly what you mean. I get very excited about learning too, which makes the job so much fun. Thanks for adding to the growing list! Knowing how students learn is a basic quality of the successful instructional designer.Since it has long been accepted that rehearsal and repetition strengthen learning connections, and we now know that multi-sensory approaches are beneficial, elaborate rehearsals that inform our memories should be practiced in the classroom. These can take the form of “think, pair, share” groupings, problem- based learning scenarios, hands on activities, simulations and exercises that allow students to act out, sing or teach the material to others. Integrating art is also a valuable component of elaborate rehearsals . In this manner students use a number of senses while concomitantly tapping into their idiosyncratic learning strengths. These may include verbal, mathematical, visual, spatial, kinesthetic, musical preferences as well as others. Design is a creative process, and as such, it will not flourish if too many constraints are imposed. We have to be careful to not insist upon a single way of designing. Each of us comes to the table with our own unique approach, and as designers we leave our mark most effectively when we are able to think and design creatively. I think you are right that different situations call for different design techniques. Cammy Bean writes about different types of course designs (a slightly different topic) in The Accidental Instructional Designer. Thanks for your opinion.